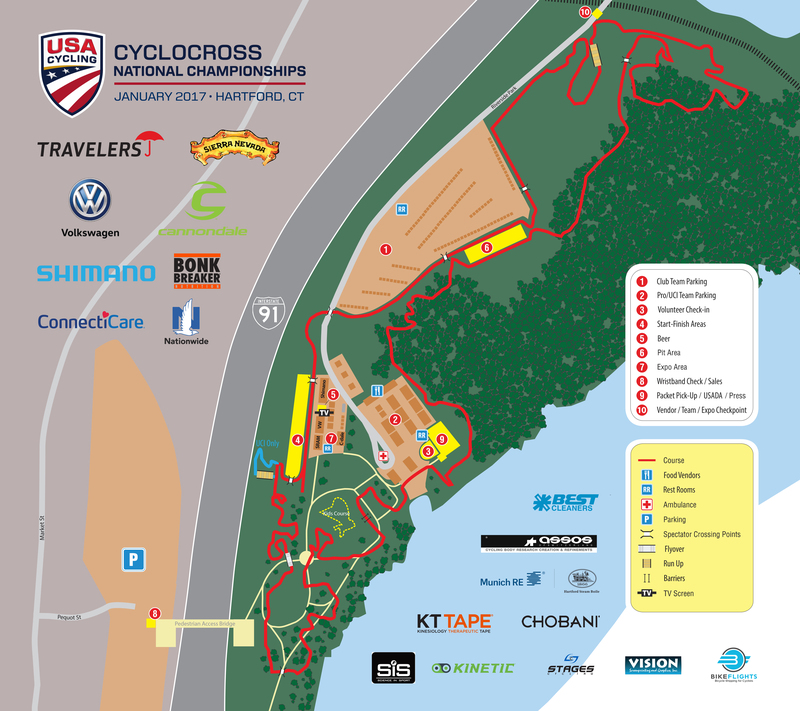 U.S. Cyclocross Nationals takes place this year January 3-8 in Hartford, Connecticut. Because U.S. cyclocross racers and spectators continue to be a bit twitchy every time the topic of nationals comes up, there was once again many questions surrounding the Hartford venue. From parking to flooding to change of venue, to nine year old racers, there always seem to be more questions than answers. So let’s look at what we do know. First, all of the USA Cycling info is available here: https://www.usacycling.org/2017/cxnationals. That includes schedule, eligibility, volunteer opportunities and vendor/tea/expo space information. USA Cycling has also released a preliminary course map that gives you a good idea of what you’re getting yourself into if you’re heading to Hartford. The map is a great companion piece for the video below. As we all know, it’s one thing to see the course on a map and another to see it with your own eyes. For that we have this really great preliminary course preview put together by David Hildebrand. Unlike your typical GoPro course preview, David actually shows us the parking, and the pedestrian bridge, and staging, and all of the main features on the course. He has the map shown above with him and connects the dots between what you’re seeing on the map with the actual features in the park. Don’t let the 22 minute length scare you away. There is a ton of great info in here and it’s worth taking the time to watch. Much more to come as we build up to CXNats, including some live events in Hartford that I will be sharing soon. Stay tuned, cyclocross friends.